Has your business tried to gain positive reviews online? If so, you probably know how difficult it can be due to your customer’s lack of time, they may simply forget, or they don’t know where to post a review. So what do you do? Many companies have found success by simply asking their customers for reviews. But that doesn’t always work, especially in today’s fast paced world. Others have found success in creating an online review strategy using a review software to help you cultivate ongoing customer reviews. But there are a few things you should know before you implement online review strategy and software to ensure you actually get what you’re looking for - reviews! This post will tell you what you need to know to make sure you select a review software that will help you consistently request online reviews from customers to improve your online review presence. The ability to send out consistent marketing messages to your customers requesting reviews. This is done through either uploading lists of new customers or manually adding them in. If it doesn’t, you’ll have trouble gaining more reviews on a regular basis. Make sure you are able to respond to reviews directly within the platform. This will make it easier for you to respond in a timely manner. 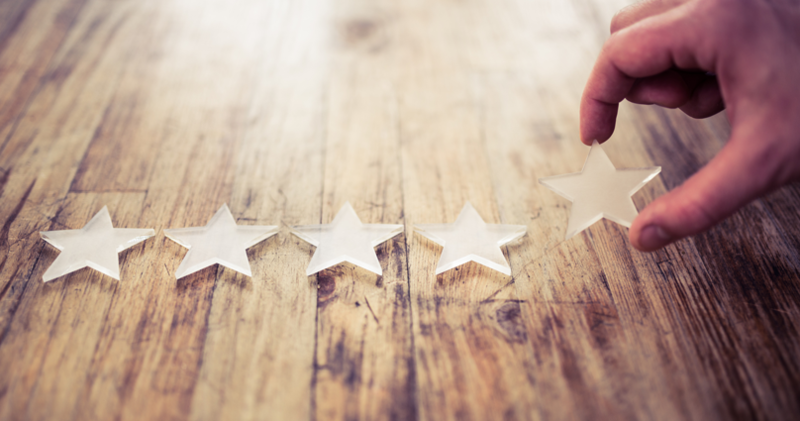 While not necessary, some great bonus features of a great online review software are being able to connect to your CRM and the ability to screen or not screen reviews. The option to screen or not screen reviews is important because of Yelp. Yelp does not allow screened reviews, in fact, if you use an online review software that screens Yelp reviews, Yelp will ban your page with a banner stating you didn’t follow their rules. Why should you care so much about online reviews? Going solar isn’t an impulse decision. Given the costs involved, most prospects will research your company extensively before moving forward. And they’ll eventually stumble across online reviews – both the good and the bad. So it pays to actively solicit as many glowing testimonials as you can. Many solar installers simply hope their customers’ experiences are positive enough to warrant great reviews. But people are busy. And you can’t count on their willingness to voluntarily share those positive experiences with the world. This is where online review software to connect with past clients and periodically remind them to share feedback on popular review sites comes in. Yelp is a great choice since these reviews often appear on page #1 of Google search results. Since Yelp doesn’t allow companies to edit any feedback, your credibility is boosted with each positive online review you receive. Facebook Reviews are particularly powerful since they rank well – both on Google and Facebook. Plus, if those reviews are seen and shared by friends within the same network, they’re that much more believable and trustworthy. As you continue to solicit positive feedback from your customers, you can feature these testimonials on your own website. Did you know? There are plugins for embedding feeds from popular review sites like Yelp, Google, and Facebook. But even with a polished site, stunning logo, and outstanding customer service, bad reviews are inevitable. And once they go up – they stay up forever. Positive proactivity is key. You need to have someone on your team consistently monitor and respond to criticism. If you lack the bandwidth, consider hiring a marketing agency that can manage this ongoing task on your behalf. If you do receive a negative review, it’s important to respond publicly (and politely) to the dissatisfied customers quickly in order to demonstrate to others that you take your brand seriously. This gives you an opportunity to turn a negative into a positive. Never miss a chance to respond to any review, especially negative ones. And, if you continue attracting positive testimonials, the negative ones will eventually get drowned out. If you’re interested in implementing an online review strategy to help automate and gain online reviews, schedule a time to talk with us today. Our online review software monitors 200+ review sites and allows responses to all reviews directly from the software making it easy to respond fast.